Who should be lecturing who on strategies to de-radicalise youth? 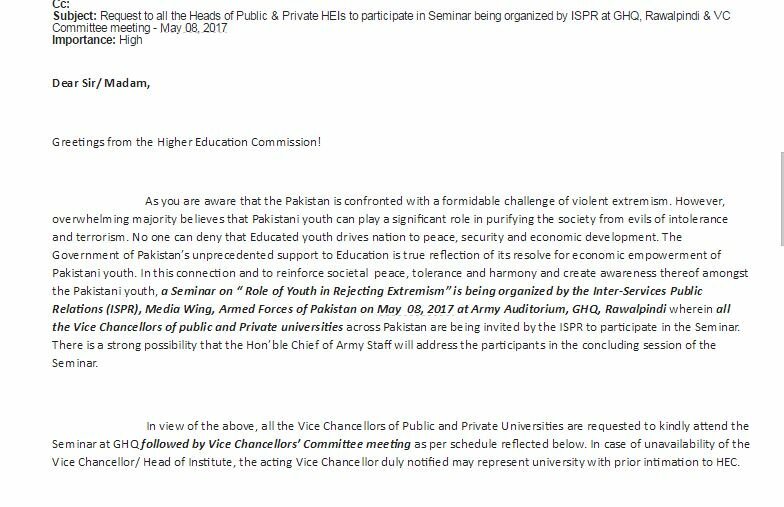 This week an invitation was delivered to Vice Chancellors of every University in Pakistan summoning them to Army Auditorium, GHQ for a seminar on ‘Role of Youth in Rejecting Extremism’ organised by ISPR. 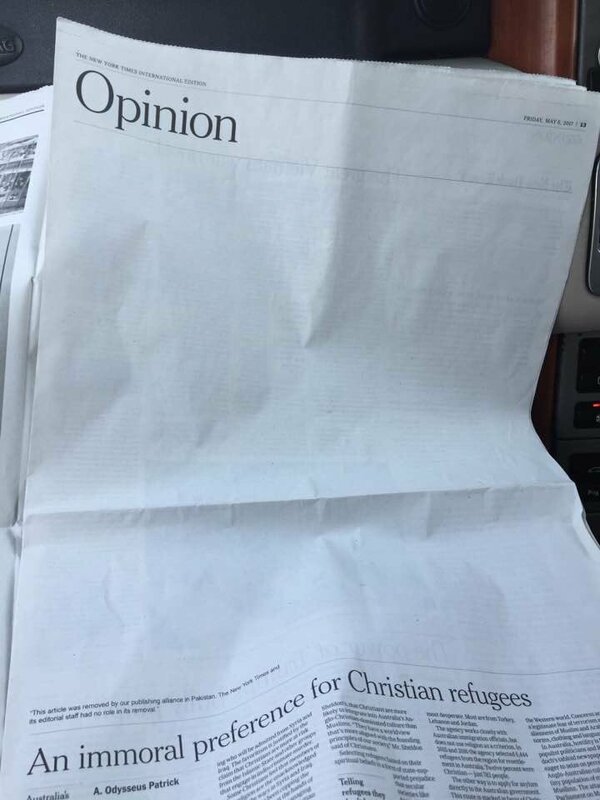 The timing of the announcement was unfortunate because it was delivered the same day that a major newspaper published a blank space in the place where there was supposed to be a piece on the threat of extremism by Mohammad Hanif, once again showing that when it comes to discussing the problem of extremism, certain quarters have their limits. It is commendable that Army leadership recognises the important role of young people in ridding the society of the curse of extremism. However, if the military wants to demonstrate its ‘unprecedented support to Education’, the obvious answer is not to invite Vice Chancellors to be addressed by the Hon’ble Chief of Army Staff, but to invite the Hon’ble Chief of Army Staff to be addressed by actual educators who have developed an expertise on education and extremism. People like Dr. Pervez Hoodbhoy, who has been lecturing on roots of extremism and strategies for de-radicalising youth for years. If Army is serious about eliminating extremism and the role of youth in rejecting extremism, GHQ should be inviting Dr Pervez Hoodbhoy, Dr Salman Haider and other educators and experts to educate ISPR on what is needed. Then, maybe ISPR will arrange for Dr Hoodbhoy to give a special interview on TV, and not the spokesman for TTP. This entry was posted in Blogs and tagged education, extremism, Pervez Hoodbhoy, Salman Haider by Sidra Jafri. Bookmark the permalink.